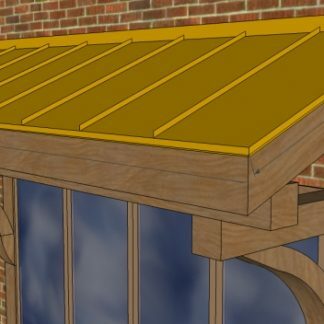 Specify the AWNING WIDTH & RAFTER LENGTH desired. Roof Kit for new or existing awnings. Includes base flashing at the top to install under siding or stucco. 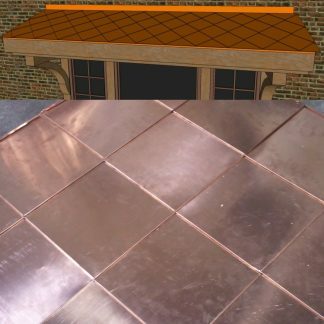 Standard 12″x12″ Shingles are 12oz Bright Copper. 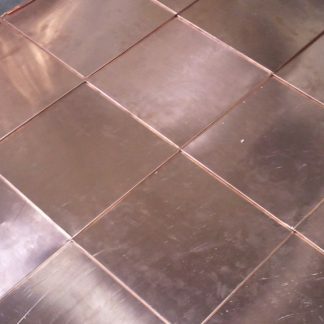 Available 16oz and 20oz Bright Copper. Includes shingles, roof edge, wall flashing at top, and fasteners. 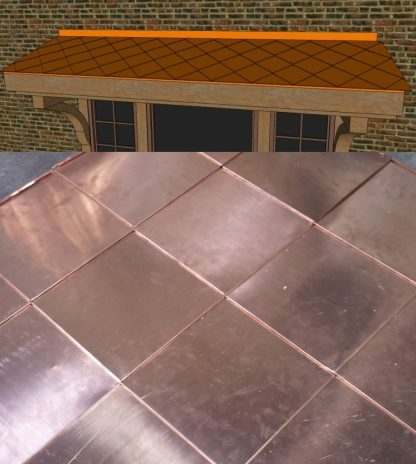 You're viewing: Awning Roof Kit – Diamond Shingles $0.45 sq. in.